As a performer you are unique in what you do, if you appear on television (except the regular news program, or when you are promoting/publicizing your appearance some-where,) you should be paid. TV etc. and receive money, EVERYONE on the show receives a share. 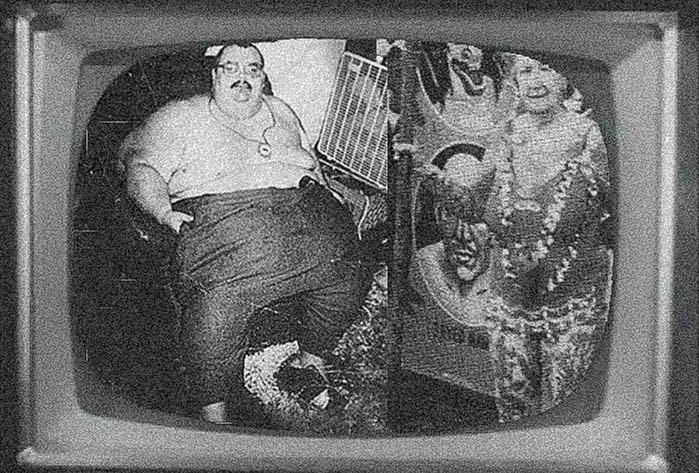 A few years ago we arranged an appearance for Harold Huge, The Fat Man, and Lorette our tattooed lady to appear on a TV program. They were to receive five hundred dollars each plus their airfare, transportation, hotel rooms and food. Chris was to receive the same to accompany and take care of them. I delivered them to the Tampa airport. On arrival in Chicago, they were transported by limousine (which was in the contract) to the studio for the shoot. After the taping they were taken by limo to the "first class hotel." It turned out to be a Motel Six in a bad area of the city. The hotel wanted Chris and Bruce to share a room. After displaying the contract and arguing they were given separate rooms. The fine restaurant in which they were to dine turned out to be a Chinese take out which they had been given coupons. The next morning when the limo failed to arrive, calls were made to the producers office, some time later a guy who couldn't speak English showed up with a beat up old sedan. They all squeezed in uncomfortably and barely made their flight. After all that the contract checks never arrived. Two months and over twenty phone calls from Chris and our lawyer, checks arrived for Bruce and for Lorette. More calls etc, were placed but Chris never got paid. On the program both Bruce and Lorette were presented in a very belittling way. Since that time our policy is to be paid up front, in full. Never, NEVER sign a release for your appearance until you have the money in your hand. We have since done business with many ethical companies, and a couple who were not forthcoming with the money, leaving us empty handed. Our people do not perform without being paid for it.